Bechtel, the global engineering, construction, and project management company, has created a revolutionary design for ports that could transform shipping in Africa. The Multi-User Offshore Hub is designed for two or more users and consists of an offshore, smart terminal arrangement and docking system that can accommodate ocean-going vessels and barges. The Multi-User Offshore Hub has the potential to open new market opportunities for African ports by significantly increasing capacity and substantially reducing port construction and operation costs. "As existing African ports become more and more congested, increased capacity is an urgent need for both the import of consumer goods and the export of minerals. Each requires out-of-the-box solutions to handle as many containers as efficiently as possible and to speed the provision of new mineral export facilities to enable the region to develop its economy," said Marco Pluijm, Bechtel's senior ports specialist, who unveiled the Multi-User Offshore Hub concept today at the African Ports Evolution 2013 Forum in Cape Town. "This solution could provide a reduction of up to 40 percent in port infrastructure construction costs compared with building a traditional port and up to 50 percent in operational cost savings as the hub can handle much larger Capesize and Valemax vessels, which result in economies of scale." The Multi-User Offshore Hub concept combines a country's existing transport modes, such as rail and river barges, to provide the most efficient and sustainable logistics possible. Bechtel is currently identifying suitable sites for a Multi-User Offshore Hub in countries in both East and West Africa. The Multi-User Offshore Hub concept builds on Bechtel's ongoing commitment to improve shipping capabilities in Africa. The company is also leading a three-year joint-industry research project to improve the safety of mooring large cargo ships off the coast of West Africa. Both initiatives are instrumental in upgrading and expanding port infrastructure needs in Africa. 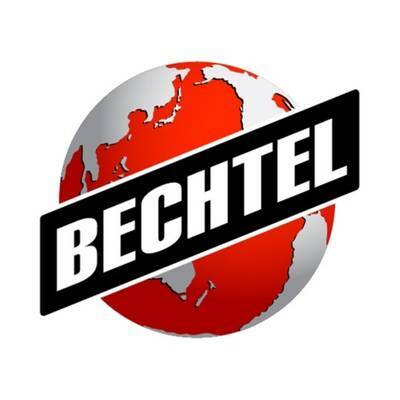 The two initiatives are part of Bechtel’s longstanding work in Africa, which spans more than 70 years. Bechtel is a global leader in the research, design, and construction of port and marine projects. The company has successfully completed more than 80 port and marine projects across the world, 28 in the last decade. These include Jubail Port development (part of Jubail Industrial City) and Khalifa port and Kizad, which has the first semiautomated container terminal in the Middle East.